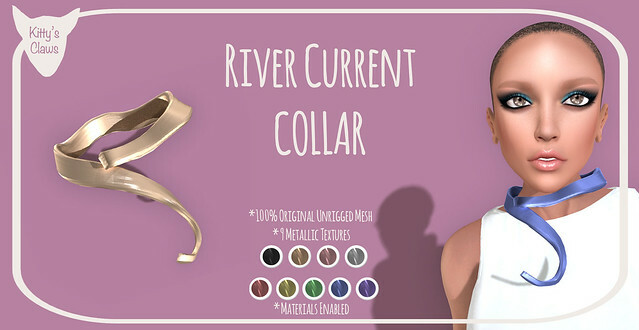 This is a day late, but I just released the River Current Collar at the Pretty Things Showroom which runs until October 2nd. It has 9 metallic textures and materials are enabled for a beautiful shine. The collar is resizable via touch! Next: Next post: Kitty’s Claws: Love is a Battlefield Gacha @ Jackpot Gacha Event!